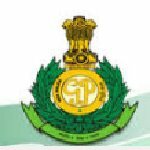 Goa Police Welder recruitment 2016-17 apply for 9 vacancies : Goa Police welcomes application for the position of 09 Assistant Sub-Inspector, Constable, welder, Dhobi, barber, Tailor and various vacancies..Candidates who completed their SSC, Diploma, Literate, IV class, ITI is a good opportunity.The individuals who are the occupation seekers searching for govt employments in Goa this is the best chance to apply. Competitors read the official notification then read all the guidelines and miners precisely then apply before the last date online application got. All the interested and eligible candidates can apply before 8th august 2016. Candidates Age Limit: The age of the candidate should not exceeding 45 years. The age of the applicant should be as on 8th August 2016. Academic qualification details: Candidates should have passed SSC or equivalent and diploma in electronics from a recognized institution. Academic qualification details: Candidates should be Literate. Details of Fee particulars: All the interested and eligible candidates are need to pay application fee Rs 200/- for General categories candidates and Rs 100/- for schedule caste categories candidates / schedule tribe categories candidates / other backward class categories candidates / Ex-servicemen categories candidates / person with disabilities categories candidates / CFF categories candidates through cash deposit. Address of application form for sale: Prescribed application forms are available at Goa Police welfare society, administrative block, GRP camp, Altinho, Panaji from 09.30 hours to 17.30 hours on all working days. Process of applying for the job: Candidates may apply in prescribed application form along with photocopies of relevant documents send to the Superintendent of Police, Police head-quarter, Panaji, Goa on or before 8th August 2016.